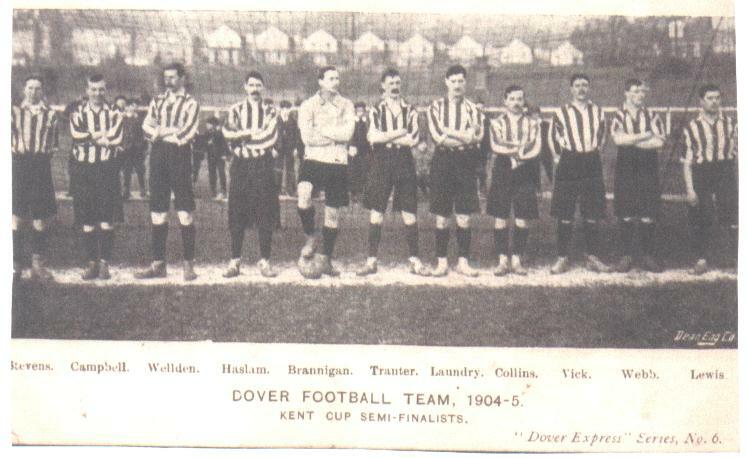 Research has shown that this line-up was not the one that played in the Kent Senior Cup Semi-final that year. In fact, this team only played together once - at Ashford three weeks before the Chatham semi-final. It looks to me as though this picture was taken at Crabble, as I think the houses in the background are on Crabble Hill. A bit of a mystery!